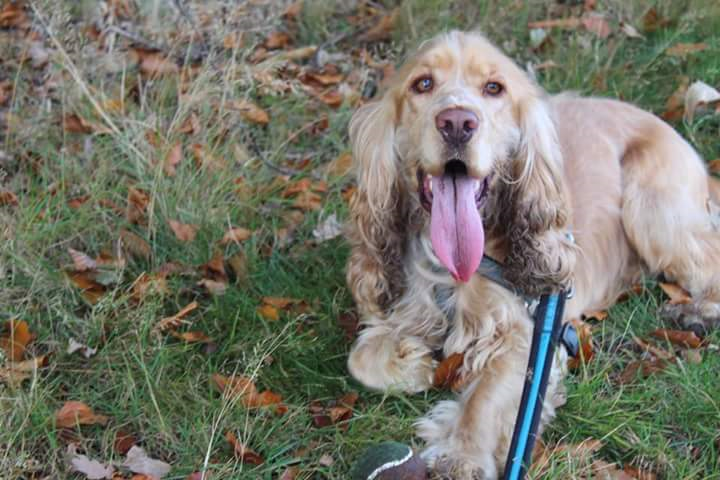 Eccles is a 3 year old male English Cocker Spaniel. Eccles came in to us after living in a flat and being left for long hours as his owners worked full time. When he arrived, he had major anxiety issues and was a very stressed little boy with severe separation anxiety. 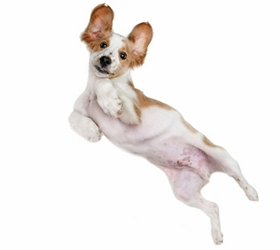 With the help of Yucalm and an adaptil collar, his anxiety levels eventually came down. The first time he was left he tried to dig his way out of the house in sheer panic. We have been working on this issue and now, although he will bark initially when I leave him this will only continue for a few minutes then he is quiet and calm. I am happy to discuss this with any applicants. Eccles is a typical young cocker, is incredibly intelligent and really needs a job to do. He is now currently getting 3 big walks a day and is a much happier boy, but he needs mental stimulation as well. He is ball obsessed and can react if any dogs go near him while he has a ball. I feel he would really benefit from agility or flyball, or something where he has to use his brain. Although Eccles is currently living in a large pack, he doesnt really interact with them and is far more interested in his humans. He follows me everywhere and isnt happy unless hes physically attached to me in some way. He loves to completely bond with his human and loves cuddles. Outside, he isnt keen on unneutered males and may react to them, although this has been limited to growling rather than contact. He loves his long walks through the woods, loves water and his recall is 100%. He loves being taught new tricks and is very obedient. His faults? Can be quite vocal, particularly if hes not getting attention. Typical young arrogant cocker and needs someone who will be firm with him and place boundaries. 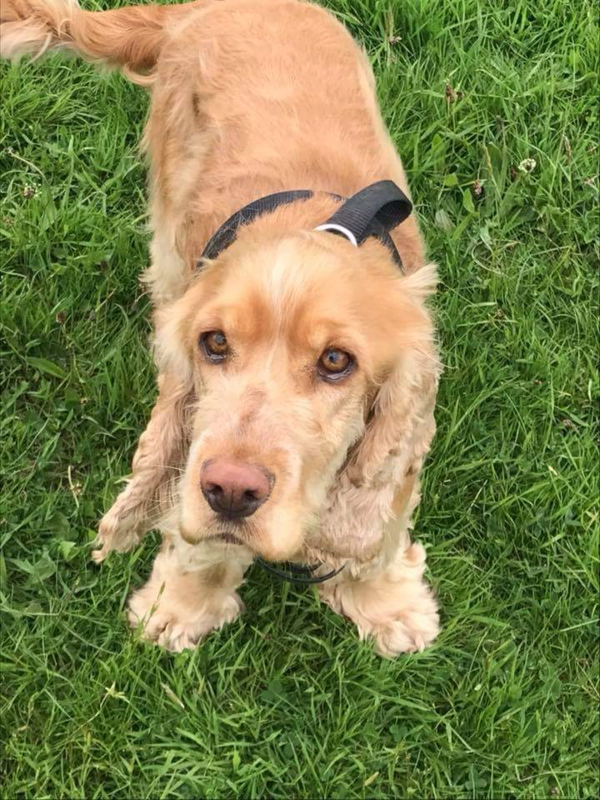 For further details about adopting a dog from Spaniel Aid, please contact spanielaiduk@gmail.com Please note, dogs under the care of this rescue are rehomed across the UK and all dogs will be vaccinated, microchipped and spayed/neutered. Home check applies, and full post adoption support is offered.